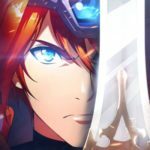 Langrisser is a series of games that has been on the market since the 90’s, and became released on a number of platforms, including Sega Mega Drive, PSX, PS2 and Nintendo 3DS, and seems to be getting now a lot of attention on mobile devices. To cut the long story short, Langrisser Mobile is a through and through JRPG where you have to command a group of heroes, develop them in time, move across the world map and fight your opponents. Just like most of the cult-classic JRPGs, such as Final Fantasy and Legend of Kartia series, Langrisser Mobile puts a high emphasis on the tactical aspect of the game. Both kind and direction of the attack on the battle map matters a lot. If you’re a newcomer, you may want to first get acquainted with the game’s basic mechanics and features in our Langrisser Mobile beginner’s guide. However, if you get the drift of what’s it all about and want to learn more about the advanced aspects of the game, such as boosting your team with enchantments just keep reading! Below we will share some useful Langrisser Mobile tips, cheats and strategies for improving your heroes with enchantments. 1. What Are Enchantments And What Are They Good For? It’s likely that at some point in the game you will find yourself in a deadlock where whatever you do the end-game content will be too difficult for you to overcome. Some of the experienced players say that this moment begins around level 30, other that towards 40. To avoid getting yourself into troubles, and eventually being forced to farm your way out of the deadlock, it’s important to keep track of your hero’s development on the field of Enchantments. Before we will go through the multiple ways of how to maximize the potential of Enchantments, let’s make a quick reminder what are they exactly and why would you actually need them. Enchantments are the upgrades that you can apply to your heroes’ equipment for additional stats and bonus effects. Each hero in your team has 4 equipment slots that can be filled with particular sort of items: weapon, armour, helm and accessories. Each of these pieces can be upgraded by only 1 scroll of Enchantment. To upgrade your item, simply go to the Forge section in your panel, then select an Enchantment scroll of your choice and click on one of the pieces of equipment. Every time you enchant an item, it will get a random boost to one of the base stats, such as Attack, Defence, Critical Chance and Health Points, as well as a number of additional bonuses, including Inc. Healing, Melee and Ranged Damage. It’s vital to remember that some of the Enchantments come in sets that when combined provide your hero with much more powerful boosts to a particular stat. For instance, when you apply 2x Tree of Life Enchantment to 2 chosen items, your hero will receive a +10% HP bonus, but if you manage to assign all 4 of them to your items, your allies within 2 squares will receive an additional +15% DEF and MDEF bonus. All in all, the higher the bonus provided by the Enchantments, the more Power Level your heroes will eventually get, and in the process the more difficult opponents they will be able to handle in the future battles. At this point you already know some basics what’s it all about with the Enchantment system. There are, however, different types of them, and each of them provides your hero with a different kind of “Resonance” bonuses. These bonuses can be activated by applying the same type of Enchantment on 2 or 4 items your hero is equipped with. The 2-piece Resonance bonus always improves your general stats, including ATK, DEF, CRT and HP, whereas the 4-piece Resonance bonus provides your heroes with a unique effect that helps them better fulfil their role on the field of battle. Every Enchantment bonus that is currently active is highlighted by the green colour. It’s important to know that the number and the quality of the bonus stat come from the quality of the Enchantment. In order to maximize the potential of these upgrades you have to know first what are the types of the Enchantments. There are different types of them: Silver or R-Grade, Gold or SR-Grade and Diamond or SSR-grade Enchantments. R-Grade Enchantments provide your hero only with 1 bonus, however, SR-grade Enchantments add up to 3 different stats to your hero’s item with a higher rate for a higher bonus than R-Grade Enchantments. Whereas, the boosts coming from SR-grade Enchantments for the most part will work for you just fine, in the long run you should aim to get as many SSR-grade upgrades as possible and apply them only to the best items in your equipment. SSR-grade Enchantments, however, are pretty much end game upgrades, so we’re talking about them in terms of your later gameplay above level 30 or 40. Applying 4 Enchantments to 4 different pieces of equipment is definitely a thing you want to do, since it allows you to upgrade your heroes with many different bonuses. It’s also good to enchant the same item few times in a row simply to optimise your bonus stat roll. On the other hand, it is a costly strategy, so you should keep it for the end-game period rather than bother yourself with that in the early game when most of your heroes are probably not even fully equipped. Once you know what are the types of the Enchantments, it’s time to learn how to maximize their potential in the game. For the most part it will work fine for you if you will enchant all 4 pieces of your equipment, instead of focusing on one item trying to re-roll its stats over and over again. It’s paramount especially during the early game when you’re switching your equipment rather frequently. You can also try to combine 2 different sets of Enchantments if that works for you. In such a way your hero will get 2 different bonuses. It is also important not to waste your Enchantments too much on any S and R-rated items. Instead, boost your SR or SSR end-game equipment, since as you remember, the higher the quality of the Enchantment is, the more stat and utility bonuses it will provide your hero with, and thus, you will maximize their battle potential. Since getting your Enchantments pretty much depends on a pure gambling, often you won’t be happy of the outcome of your bonuses. If it happens that your warrior-class hero gets a boost to Intelligence or heal, you have a chance to Re-Enchant your item and hope to get better results next time. The trick is, however, that once you reroll your stats, you won’t have a chance to get back to the previous ones. 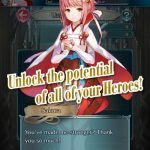 Maximizing the potential of applying Enchantments to your heroes’ items is not only about learning of the types of the upgrades but also knowing which heroes are best to be assigned with a particular type of the boost. The first and the most important rule here is to keep in mind the role of a given character. If you want to provide a boost to your melee hero, aim for the ATK and increased CRT. Adding an HP bonus is just fine when it comes to any character class, but only tanks and healers will make the best of it, since they are the most important members of your team. Whereas the pattern of applying Enchantments is mostly up to the players’ personal choice, there are certain recommendations of how to adjust the upgrades properly. If you take archer-type class heroes, it’s probably best to enchant their items with Breeze Resonance due to the +5% ATK boost for 2 pieces and +10% damage bonus and 30% of increasing Mobility by +2. 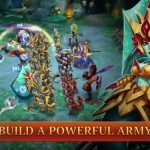 That choice of the upgrade allows your ranged units to maintain a relatively high dmg and provides them with a better flexibility which helps them manoeuvring between their opponents better. When it comes to holy-type units, however, a good idea would be to apply them with Crystal Enchantment for +2 Defence and Magic Defence general stats for 2 pieces and +20% Healing effect per each item piece if you slot 4 pieces of the upgrade. Certain upgrades are not so clearly predestined to be applied to a particular type of heroes and require from you much more insight. Let’s take SSR hero Bernhardt as an example of one of the best tanks in game. Knowing that HP and HP regen are tanks’ best friends, to maximize Bernhardt’s battle potential, equip him with Hard Rock Enchantments that provide him with a chance to heal by 15% once his HP drops to 50% after every battle. The reason why this Enchantment works so well with him is also because of his passive skill called Sun Shade that allows him to heal additional 30% HP after every fight. By combining these two upgrades you can provide Bernhardt with a really high sustainability and allows him to move from battle to battle without the need of getting support from your other heroes. These are just examples of how you can assign your heroes with particular Enchantment scrolls, but there are plenty of different options to choose from, and this is the reason why the Enchantment system in Langrisser Mobile work so well. Once you get the drift of how to maximize the potential of using Enchantments, you may wonder where to get them from. There are multiple ways by which you can farm Enchantment scrolls in the game. Some of them you can get in the Secret Realm by trying your hands at The Goddess Trial mode, other way is by finding them in certain locations on the world map, and there is also Time Rift. But in this article we will sow you a way how to truly reach a gold mine of these items. Simply go to the Store section in your panel and then to the Equipment. There is a Special Enchantment Pack which allows you to get a whole batch of them with a limit 10 per week, which is a pretty good ratio. Each batch, however, doesn’t come so cheap, because it costs you 200 units of Mithril Ore. There are several ways in which you can get this resource quick and easy. One of the ways is by getting daily rewards from the Goddess and that’s before level 35. You can also get it from doing daily dragon runs, but only in higher tiers. There is a chance that over 35 dragon can provide you with the Mithril Ore along with SSR Ore. Also don’t hesitate to transmute gear that you don’t currently need in your equipment, however, it works only by dismantling your SR-grade equipment, so it should be your option in later stages of the game when you’re simply swimming in high-end items. As you can see there are multiple ways of farming Mithril Ore daily, so that you can get enough of it to purchase a stack of 10 Enchantment Scrolls per week and in the process provide your heroes with a significant bonus to stats. And so we’ve come to an end of our Langrisser Mobile Enchantments guide! 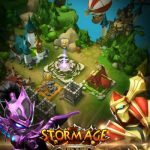 We hope that some of these tips and tricks will prove useful in your endeavours of enhancing your team of heroes, and eventually overcome the difficulty curve that occurs around the level 30 in the game. Enchantments may not allow you to completely wipe off the floor of your enemies in any situation, but they will surely boost your heroes’ stats and battle capabilities. If you have some useful tips and tricks on the Enchantment system, feel free to share them in the comment section below!